When summer comes, I absolutely love gardening and growing my own vegetables. Of course, I love harvest time even more. Those fresh veggies are so healthy and good for you and they all taste so delicious. I normally have a handful of recipes that I use to serve my summer veggies but this year, I wanted to try some new things. 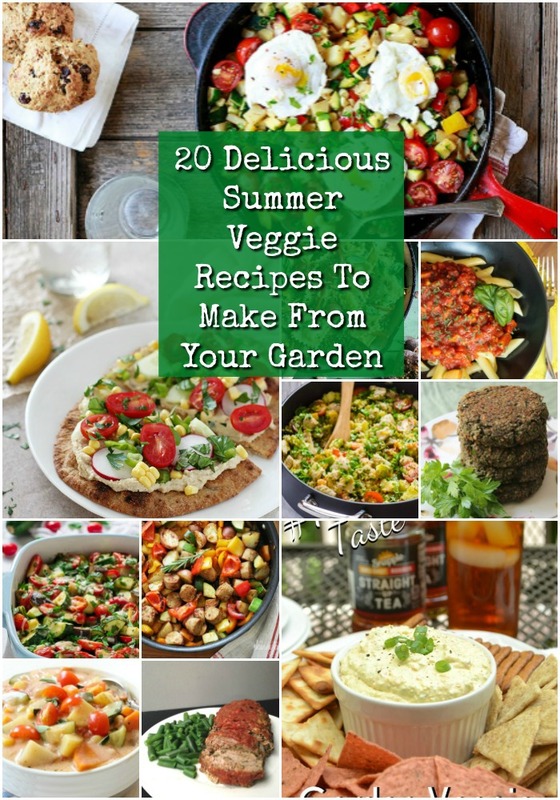 So I started looking and found 20 delicious summer veggie recipes that you can make straight from your garden. There are recipes in here for you to use up all of those tomatoes, cucumbers, and so much more! I do love cooking and cooking with fresh ingredients is my favorite thing in the world. All of these recipes are super easy to make, so they are perfect for my busy life. Many of them can be on the table in under an hour, so they are even great for those busy weeknights. If you are like me, you are constantly looking for easy recipes that give your family a wholesome meal even when you don’t really have time to cook. If so, you have to take a look at these 25 fast and easy crockpot dinner recipes. They will help you to feed your family a homemade meal even on your busiest nights. Whether you can or freeze your summer vegetables for use in winter or you enjoy them straight from the garden all season long, you are definitely going to find a few recipes in this list that your family will love. Many of these dishes can be made now and frozen for use later in the year. All of them are delicious and so easy to make. And, if you love freezing foods for future use, be sure that you check out these 20 freezer casserole recipes. 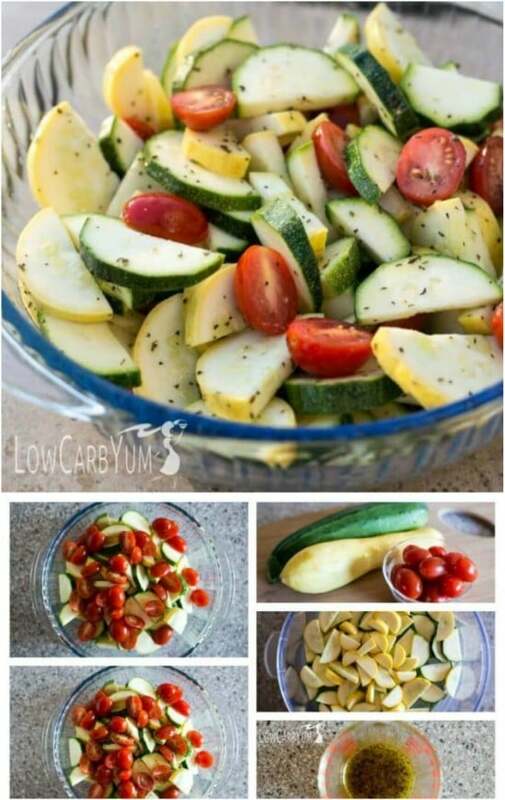 You can even use some of your fresh summer veggies in them! Grab those pots and pans and let’s learn some new ways to cook up those summer garden vegetables. This homemade marinara sauce has so many wonderful garden vegetables in it and it is super easy to make. I love a good marinara sauce, especially one that I can make with things from my garden. This one has zucchini, onions, carrots, tomatoes and even fresh herbs and garlic from your herb garden. You can make this completely from your garden and even preserve it in a pressure canner so that you have fresh garden marinara all year long. This would be great on homemade meatballs! This risotto recipe is really easy and it is the perfect side dish to accompany just about any meat. You can include so many early summer vegetables in this one including your zucchini, summer squash, peas, onions and several herbs from your herb garden. 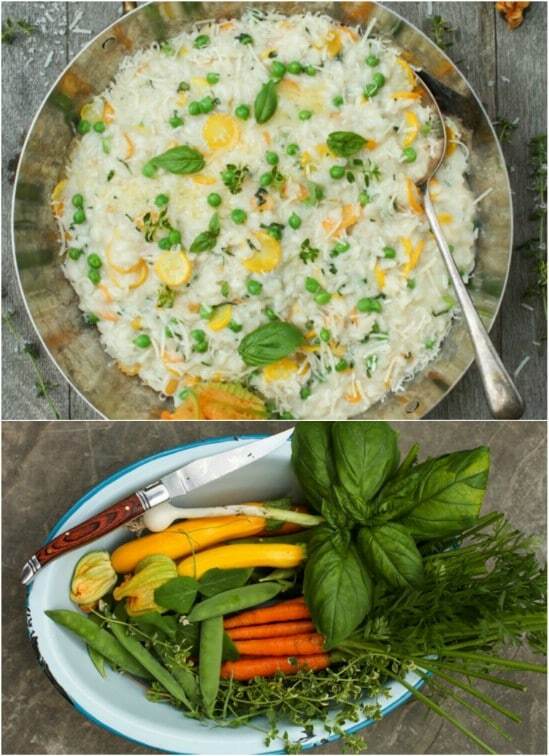 If you love risotto, this is the perfect summer veggie dish for you and it takes less than an hour to prepare from start to finish. 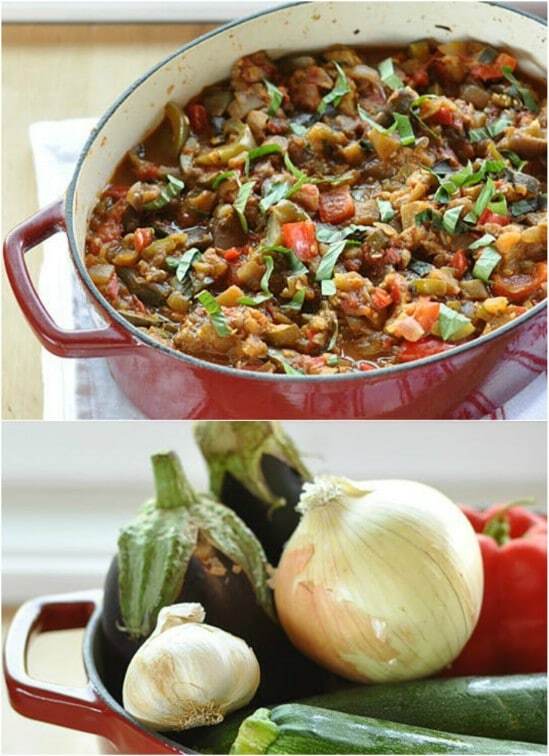 This French inspired ratatouille is perfect for when you have an abundance of fresh veggies from your garden. It’s filled with eggplant, sweet peppers, tomatoes and zucchini and you can use fresh herbs from your herb garden as well. The recipe makes a pretty large batch, so there is plenty to enjoy now and enough left over to freeze for later. This is a great recipe to have on hand when you want to create a few homemade freezer meals. 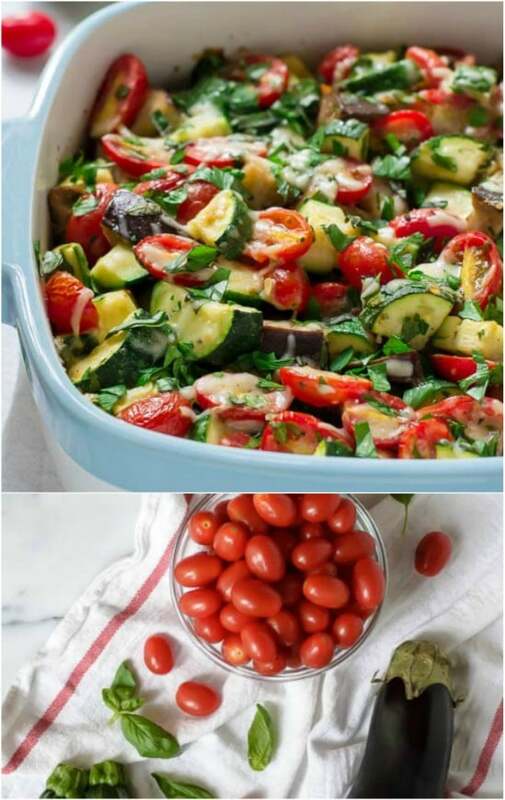 If you want a great tasting recipe that is easy to make is gluten free, this summer veggie bake is it. 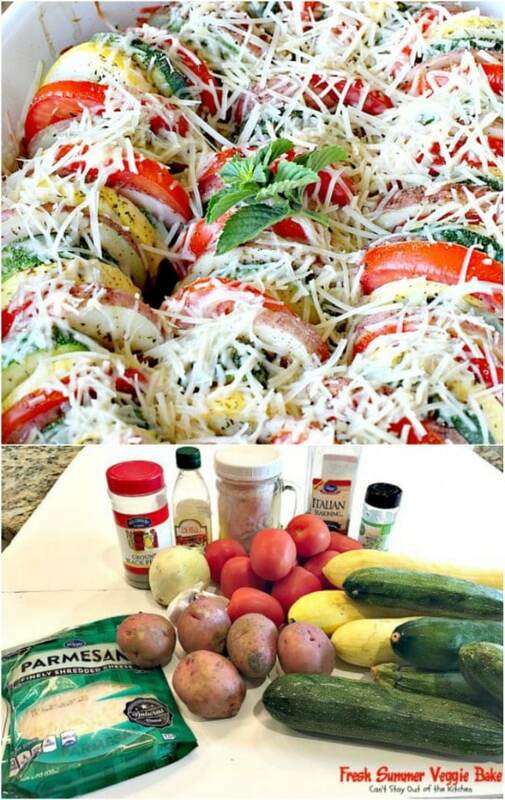 You can add your fresh garden zucchini, summer squash, tomatoes, potatoes and onions to this one and it has parmesan cheese and fresh herbs from the herb garden like parsley and thyme. It is a really simple recipe and it’s delicious – I promise you that even your picky eaters are going to try this one! 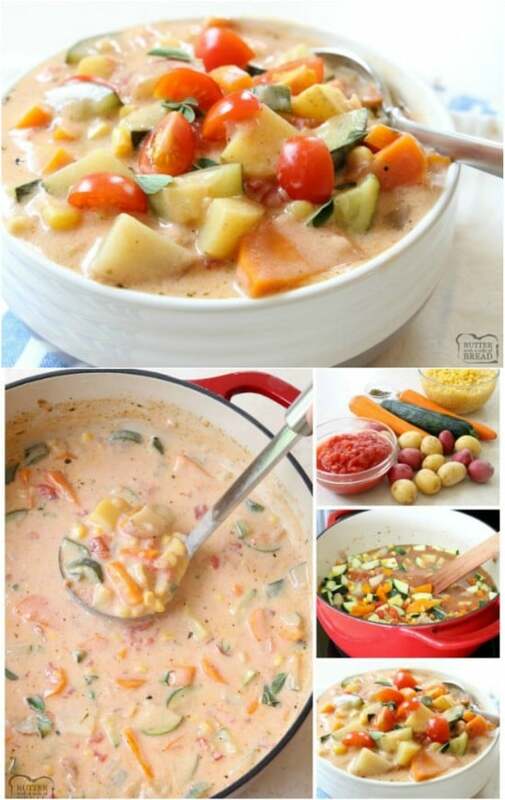 I love a good one pot meal and this one includes fresh garden vegetables, so it’s even better. With corn, asparagus, pepper, tomatoes and zucchini, this one is sure to please everyone at the table. 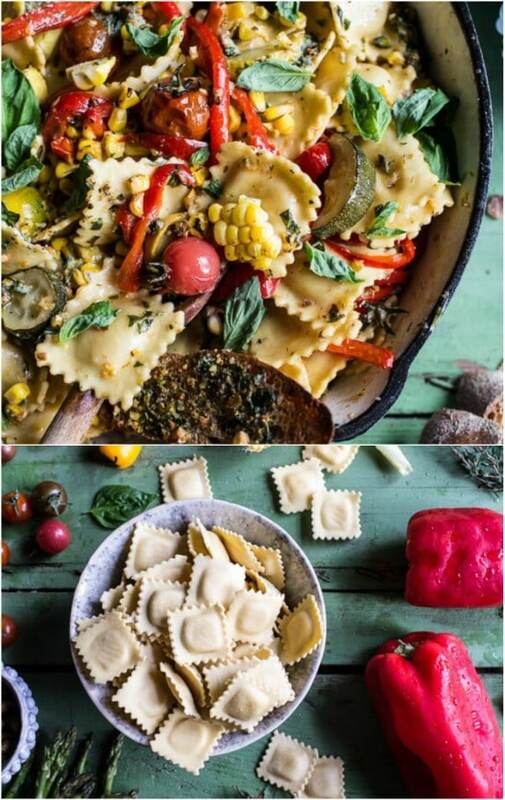 The ravioli can be freshly made or frozen and you can include fresh herbs from your herb garden. There is a lovely herb butter that accompanies this and you can have it on the table in under an hour. 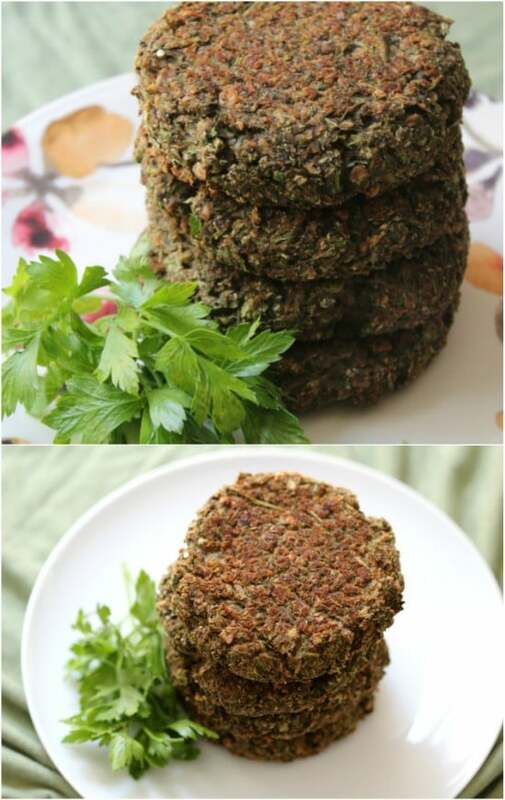 These gluten free vegan garden veggie burgers are perfect for summertime grilling. You can also make these ahead and freeze them so that you have plenty for the winter months. They have black eyed peas and carrot top greens from your garden, along with some fresh herbs from the herb garden. These are perfect if you are watching your gluten and avoiding red meats. These vegan burgers would be great with spinach and potato patties. Bell peppers, celery, radishes, onions and carrots are all combined with cream cheese and fresh herbs to create this delicious summer vegetable spread. 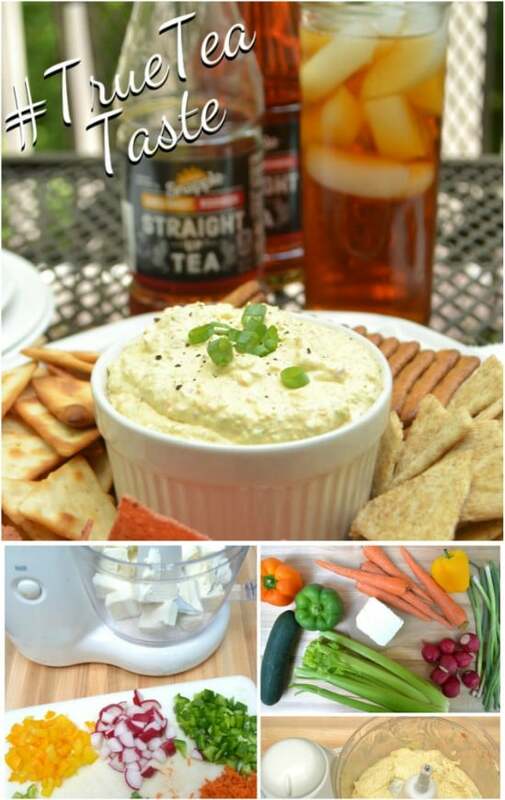 This is perfect for those summer cookouts and parties and it is really simple to make. You can serve it with crackers or add it to a tray of even more fresh summer garden veggies. It will be the hit of all of your summer get togethers. Here is the perfect summer veggie dish. 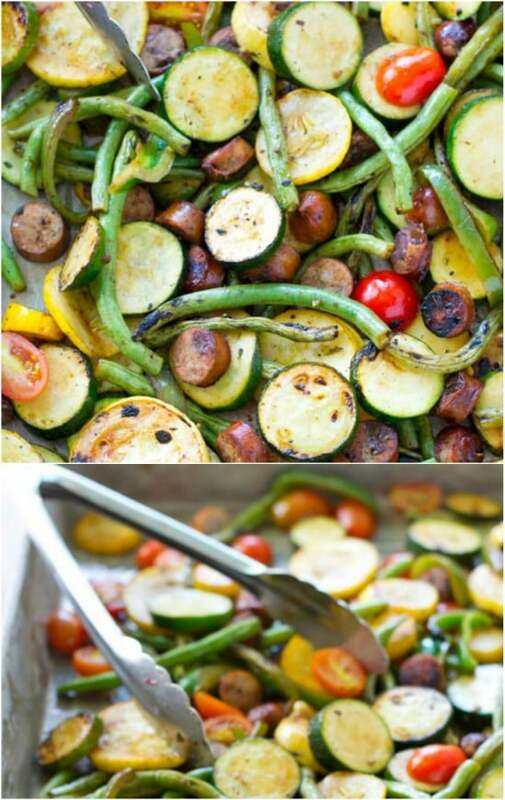 This summer vegetables with sausage dish is grilled to perfection after being marinated in an olive oil and balsamic vinegar mixture that is delicious. You can include summer squash, zucchini, cherry tomatoes, string beans, peppers and so many other garden veggies in this delicious dish. It is the perfect main dish to serve at your summer barbecues and cookouts. 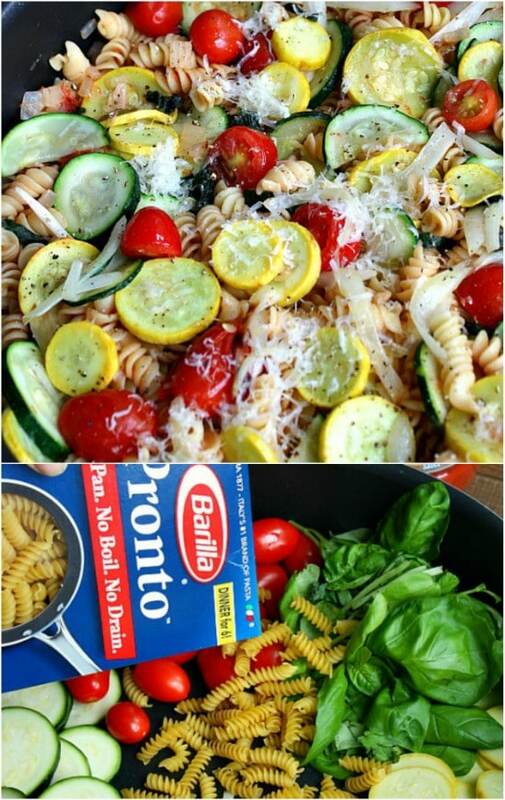 This one pot dish is all you need for a delicious summer meal and you can make it with fresh veggies from the garden. It has pasta, summer squash, zucchini, onion and grape tomatoes as well as fresh basil from your herb garden and freshly grated parmesan cheese. If you want a light dish that is also delicious, this is definitely one to try and you make it all in the same pot! 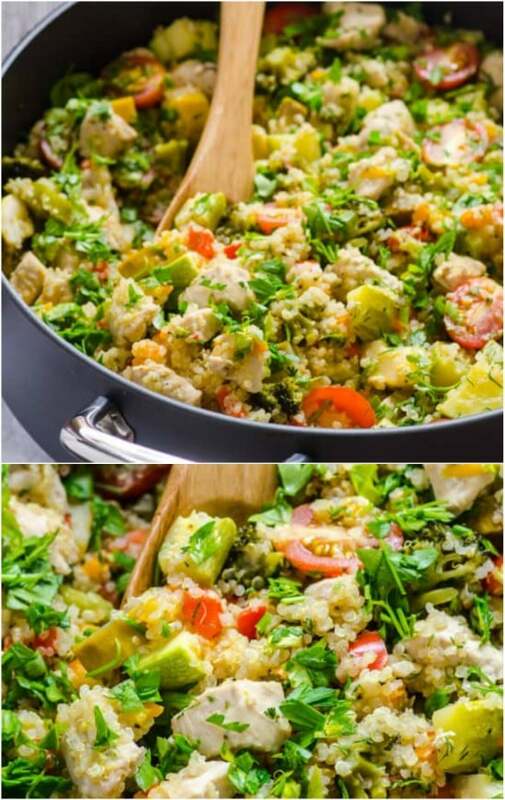 This one skillet meal combines chicken with quinoa and your fresh garden vegetables and it is perfect for family dinner night. Chicken is sautéed with quinoa as well as fresh broccoli, bell peppers and zucchini. The entire dish takes less than an hour to make and your entire family is sure to love it. This one also freezes well so it’s a perfect dish to make ahead and freeze for busy weeknight dinners. 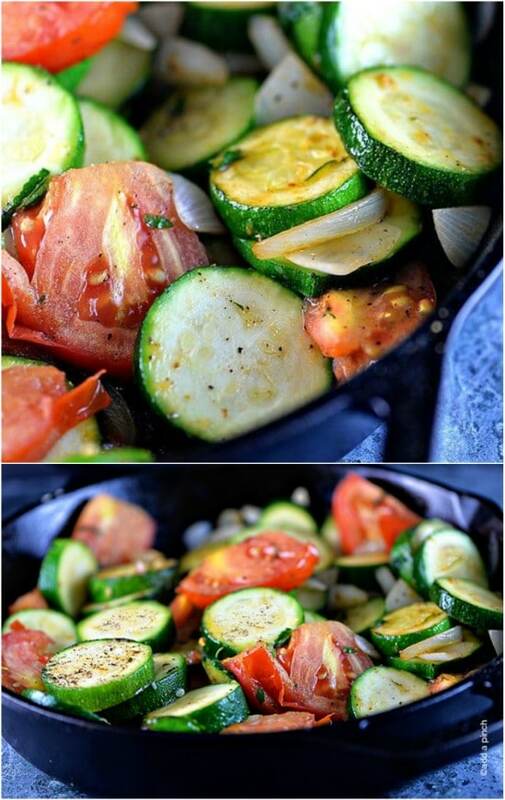 This quick and easy skillet zucchini is the perfect side dish to pair with any entrée. It only takes a few minutes to make and you can use your fresh zucchini, tomato and onion as well as fresh herbs from your herb garden. You just heat everything together in butter and olive oil and serve. It is so easy to make and perfect for those busy nights when you really don’t have time to cook something extravagant. Use your leftover zucchini to make a delicious lemon glazed zucchini bread. This summer garden veggie flatbread is the perfect light lunch for warmer days. 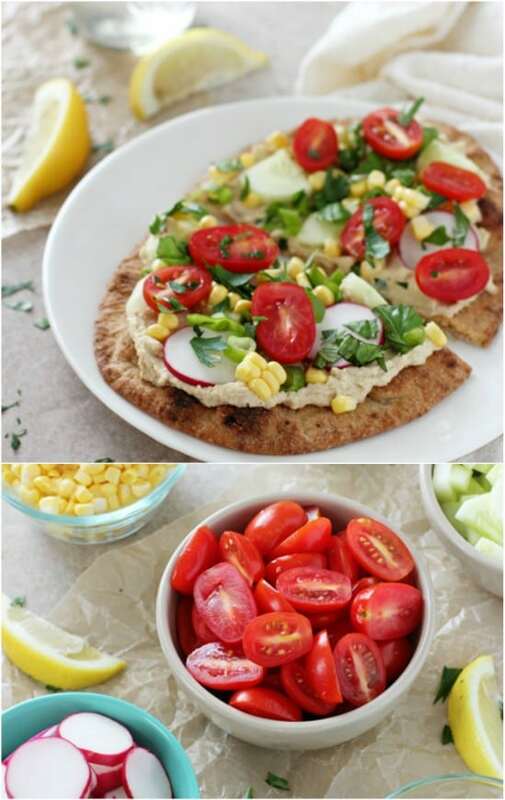 You use whole wheat naan bread to make this – or you could substitute your favorite flatbread – and then add hummus and a variety of fresh garden veggies like cucumber, tomato, onion, radishes and corn. You can also add fresh herbs like basil and parsley. This is a great light dish for summer brunches. I love a good pasta salad, especially one that has fresh summer vegetables from the garden. 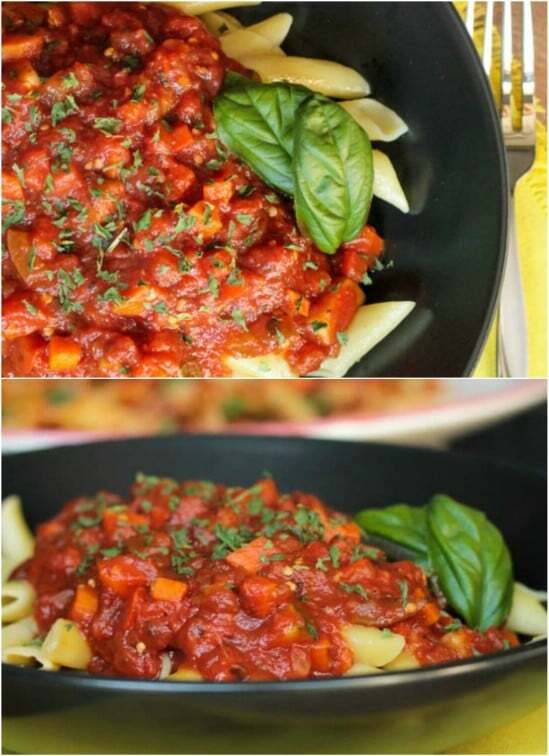 This one uses a number of yummy veggies and the pasta is spaghetti. You can also use angel hair pasta, if you prefer. 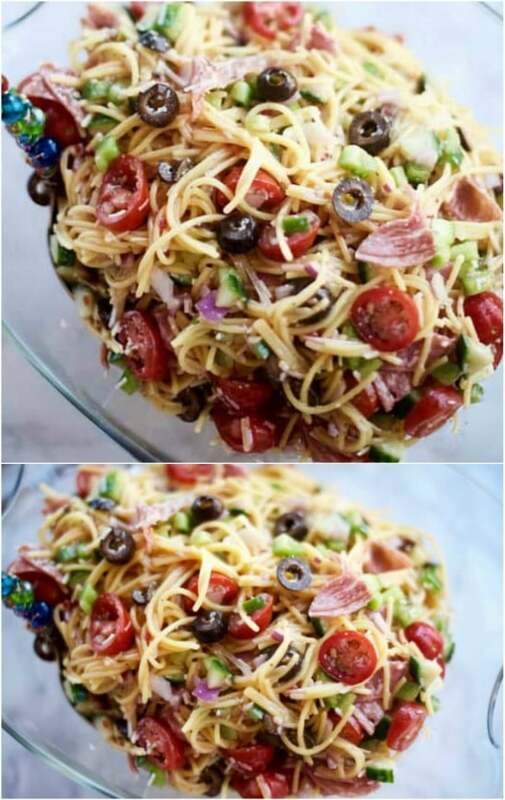 You add cucumbers, cherry tomatoes, onions and other fresh garden veggies as well as freshly grated parmesan, salami and black olives. This is a great side dish for those summer barbecues and it is really quick and easy to make. 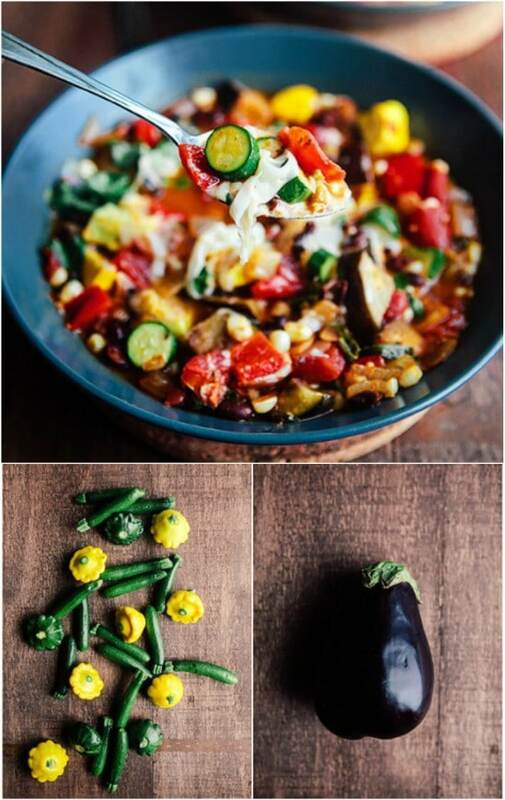 Black bean chili is always a treat, and it’s especially a treat when you add in some of your fresh summer vegetables. This is such a colorful dish – it is definitely not like any chili you have ever tried and it’s amazing. You add eggplant, summer squash, zucchini, fresh garden onion, diced fresh tomatoes, corn and so many other wonderful herbs and flavors. Fresh garden vegetables for breakfast? Yes, please! This summer vegetable hash has all of the goodness of breakfast combined with your garden veggies. It’s great for breakfast, lunch or dinner and is sure to please everyone at your table. 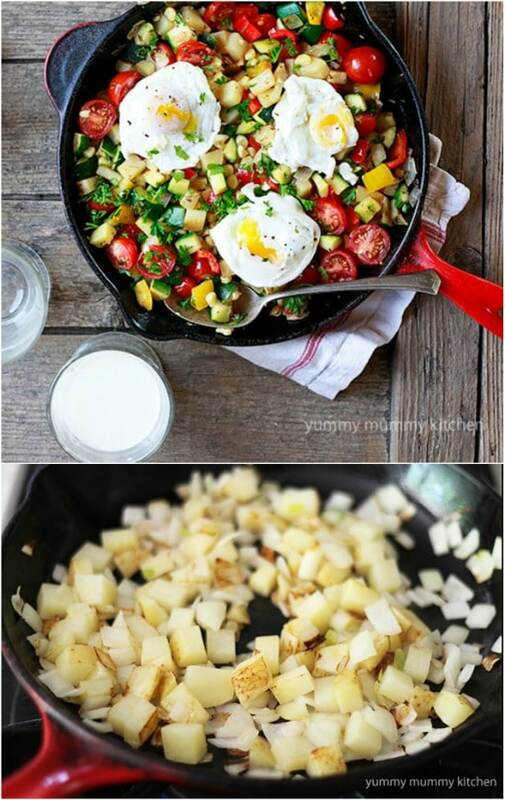 It is made with new potatoes, bell pepper, corn, cherry tomatoes, eggs and even fresh herbs from your herb garden. It’s topped off with avocado and hot sauce. Meatloaf is always such a big hit at my house, and this summer vegetable meatloaf will be a huge hit at yours, too. Take your traditional meatloaf recipe and add in some yummy zucchini, carrots, and fresh spinach. 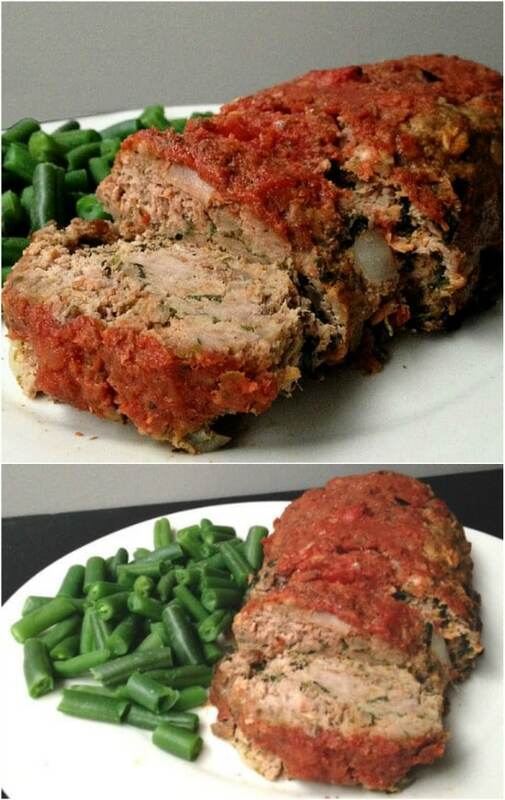 This is a wonderfully flavored meatloaf and it is super easy to make. If you love meatloaf, you are definitely going to want to give this one with fresh garden veggies a try. Beef stew is always a good idea, especially during the colder months. This summer veggie beef stew can be prepared now and frozen for later, when the weather is a bit more dreary. It has all of your favorite fresh garden veggies including new potatoes, carrots, zucchini, tomatoes and corn and you can make it even better when you add in fresh herbs from your herb garden. This yummy stew will be a hit now and when the temperatures drop. Everyone needs a great homemade beef stew recipe! 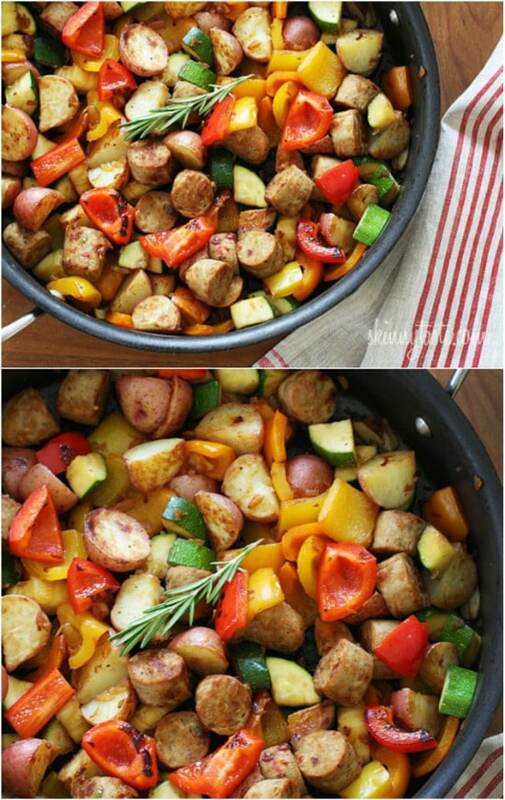 This one pot dish has chicken sausage – or you could use turkey – as well as new potatoes and some of those wonderful garden veggies. You can make this in about an hour from start to finish and it is filled with colors and flavors. There are less than 400 calories in a serving, too! If you want a one pot dish that is delicious, healthy and easy to prepare, this is definitely one that is worth trying. This salad recipe is sure to be a hit at the dinner table or at your outdoor cookouts. It is filled with flavor thanks to the zucchini and summer squash and the cherry tomatoes just add to that flavor. It also has thyme and basil that you can get from your herb garden and a wonderfully flavorful dressing made with apple cider vinegar. This baked dish is delicious and easy to make. It’s filled with zucchini, eggplant and tomatoes from your garden and topped off with a wonderful parmesan, basil and parsley dressing. It only takes a few minutes to get it ready for the oven and then you bake it for 45 minutes. It is the perfect complement to any main dish and would be great for all of those potluck dinners that you attend this summer. Thanks for linking my recipe!